A Southwest Airlines Boeing 737 Max aircraft landing at the Southern California Logistics Airport in Victorville, California, where the airline is storing its 737 Max jets until they are again cleared to fly passengers, on March 23, 2019. A Southwest Airlines jet of the Boeing 737 Max line grounded after two catastrophic crashes was forced to make an emergency landing shortly after takeoff at Florida’s Orlando International Airport on Tuesday en route to a facility in California, where it was scheduled to be stored in the western Mojave Desert, the Wall Street Journal reported. Just two people were on board. A Southwest spokeswoman told the paper that the issue was due to an engine problem and was not related to issues with a computer system believed to have played a role in the crashes. The 737 Max line’s Maneuvering Characteristics Augmentation System (MCAS) has an anti-stalling system which is currently believed to have sent two prior flights—a Lion Air flight that crashed in October 2018, killing 189, and an Ethopian Airlines crash this month that killed 157)—into nose dives. Boeing recently promised to update MCAS to prevent it from overriding other cockpit commands or misfire based on faulty readings, as well as issue training revisions informing pilots on how to deactivate MCAS in the event of an error. 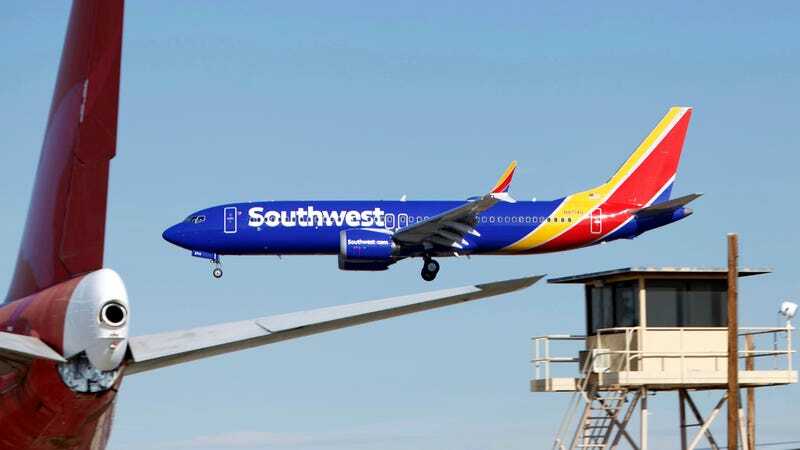 According to CNN, Southwest described the problem with the 737 Max that landed in Orlando on Tuesday as “a performance issue with one of the engines shortly after takeoff,” adding the crew was able to land the plane safely using standard procedures. An airport spokesperson additionally told CNN the emergency landing did not impact other landings. The Federal Aviation Administration is investigating. The U.S. was among the last major countries to ground the 737 Max line after the two crashes. According to CNBC, Boeing’s certification plan for the software update made it to the Federal Aviation Administration in January, and it made a test flight using that software on March 12. The grounding has hit some carriers hard. Earlier this month, reports indicated that American Airlines had canceled 90 flights per day through April.